The team of Saint Petersburg Yacht Club - Bronenosec Sailing Team - proudly wears the colors of the Russian flag at high-class international sailing competitions. The team became world champion in Gazprom Swan 60 yacht class four times and was world champion and vice-champion in class RC 44. 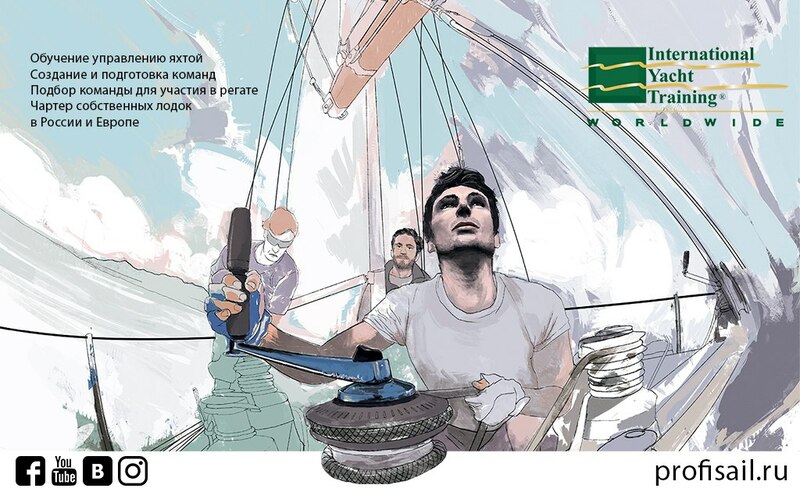 In 2015, Bronenosec Sailing Team received the title "Sailing Team of the Year" in Russia at the prestigious ceremony “Yachtsman of the Year”, organized by the Russian Yachting Federation. The team continued to participate in RC 44 and TP 52 competitions. Historical shipbuilding yard Poltava is a cohesive team of shipbuilders and designers, who recreate a full-scale replica of the “Poltava” - the first 54-gun sailing battleship - designed and constructed with personal participation of Peter I and launched by the Admiralty of Saint Petersburg in 1712. There are necessary workshops for the production of masts and spars, ropes, sails, wooden carving, joinery products, and ship furniture, as well as workshops for the construction of admiralty model of the "Poltava" with a scale of 1:12. The activity of the dockyard was approved by the Russian Maritime Register of Shipping and received Certificate of Compliance in wooden shipbuilding. Design office of the dockyard also received Certificate of Compliance in ship design. Once launched, the “Poltava” will become the heart of a large modern museum complex in Lakhta — scientific, cultural, research, and pedagogic center of nautical history of the city and nautical development of our country. ны. Nautical school is for young people at the age from 10 to 16 years old, who love the sea and want to learn the history of fleet and shipbuilding, to learn how to create models of sailing ships, build boats and restore ships with their own hands. Sports groups for children at the age of 7 years old and older, who are interested in sailing. Young yachtsmen begin their way to really high-performance sport with “Optimist” class, where they not only learn the basics of yachting, but also achieve success at national and international competitions. ниях. The Academy also provides training in other national, international, and Olympic classes of yachts (“Raketa” (Rocket), “Luch” (Beam), “Laser”, “420”, “470”, “29er”, “49er”, “49 FX”, RS:X and other classes). . The sportsmen of the Academy gain experience at professional competitions within the framework of Russian and international sailing races in RC44, World Match Race Tour, and National Sailing League. There is a summer sports camp for the students of the Academy. Saint Petersburg Yacht Club and Sailing Academy have been organizing a series of competitions for children and the youth “Optimists of the Northern Capital – the Gazprom Cup” with the assistance of PJSC Gazprom since 2012. Traditionally, hundreds of beginners and experienced juniors from all sailing schools and courses of the city participate in the stages of the series. For many of them, success at the competitions “Optimists of the Northern Capital – the Gazprom Cup” became a solid platform for the achievement of great success in sport. Today, “Optimists of the Northern Capital – the Gazprom Cup” series is the largest competition for children in Russia. ем. The team of Saint Petersburg Yacht Club - Bronenosec Sailing Team - proudly wears the colors of the Russian flag at high-class international sailing competitions. The team became world champion in Gazprom Swan 60 yacht class four times and was world champion and vice-champion in class RC 44. 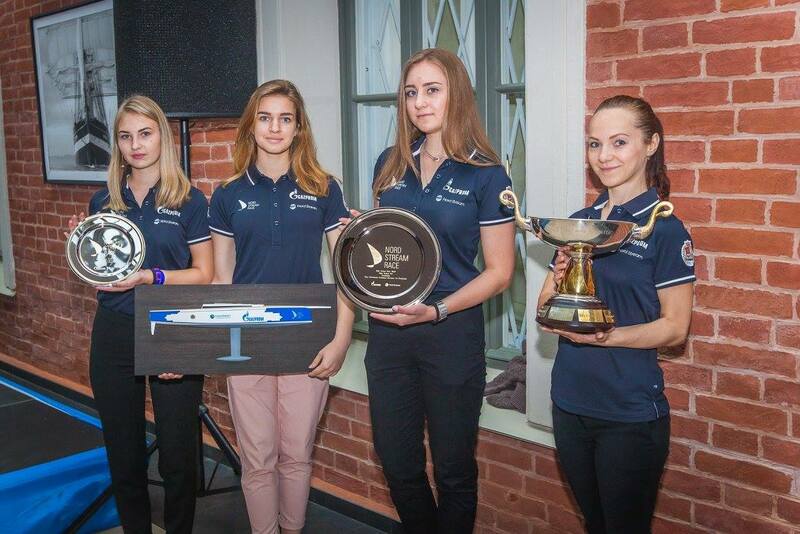 In 2015, Bronenosec Sailing Team received the title "Sailing Team of the Year" in Russia at the prestigious ceremony “Yachtsman of the Year”, organized by the Russian Yachting Federation. 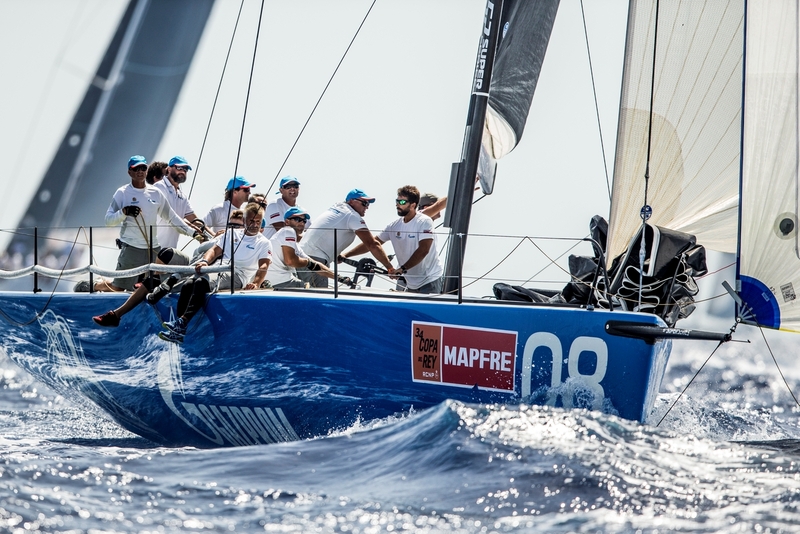 In 2016, the team continued to participate in RC 44 and TP 52 competitions. Historical shipbuilding yard Poltava is a cohesive team of shipbuilders and designers, who recreate a full-scale replica of the “Poltava” - the first 54-gun sailing battleship - designed and constructed with personal participation of Peter I and launched by the Admiralty of Saint Petersburg in 1712. There are necessary workshops for the production of masts and spars, ropes, sails, wooden carving, joinery products, and ship furniture, as well as workshops for the construction of admiralty model of the "Poltava" with a scale of 1:12. The activity of the dockyard was approved by the Russian Maritime Register of Shipping and received Certificate of Compliance in wooden shipbuilding. Design office of the dockyard also received Certificate of Compliance in ship design. Once launched, the “Poltava” will become the heart of a large modern museum complex in Lakhta — scientific, cultural, research, and pedagogic center of nautical history of the city and nautical development of our country. Profisail sailing school of Saint Petersburg Yacht Club provides yachting training according to the standards of the international system Yacht Training Worldwide for all interested people. Today, IYT is a globally recognized training system for skippers with offices in 25 countries. Sail- and powerboat licenses with IYT mark are recognized in 24 jurisdictions around the world. IYT training system is certified according to ISO 9001:2008. Students are admitted to Profisal school every month from April till September. The groups start their training on the 15th of each month. Sports groups for children at the age of 7 years old and older, who are interested in sailing. Young yachtsmen begin their way to really high-performance sport with “Optimist” class, where they not only learn the basics of yachting, but also achieve success at national and international competitionsниях. The Academy also provides training in other national, international, and Olympic classes of yachts (“Raketa” (Rocket), “Luch” (Beam), “Laser”, “420”, “470”, “29er”, “49er”, “49 FX”, RS:X and other classes). There is a summer sports camp for the students of the Academyь. Saint Petersburg Yacht Club and Sailing Academy have been organizing a series of competitions for children and the youth “Optimists of the Northern Capital – the Gazprom Cup” with the assistance of PJSC Gazprom since 2012. Traditionally, hundreds of beginners and experienced juniors from all sailing schools and courses of the city participate in the stages of the series. For many of them, success at the competitions “Optimists of the Northern Capital – the Gazprom Cup” became a solid platform for the achievement of great success in sport. Today, “Optimists of the Northern Capital – the Gazprom Cup” series is the largest competition for children in Russia. WORLD CHAMPIONSHIP 2019 IN RS:X CLASS WILL BE HELD IN RUSSIA! Today, March 8th was the first day of the OptiOrange Valencia 2019, an international Optimist class regatta organized by the Real Club Náutico de Valencia and the Saint Petersburg Yacht Club. Less than 10 days left to start of the second edition of the OptiOrange Valencia regatta to be held in El Real Club Náutico Valencia 7th to 10th March 2019. Organized by the St.Petersburg Yacht Club and El Real Club Náutico Valencia OptiOrange was successfully inaugurated in 2018 and for the second edition the entry list have grown twice. The mascot of the competition will be Naranjito. St.Petersburg Yacht Club events are always complemented by volunteers. 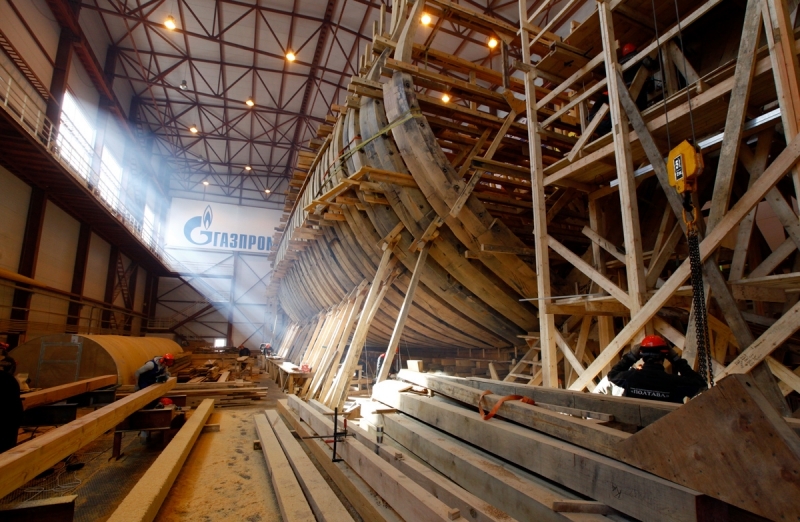 They played crucial role in big events organization of the Sailing Academy, Historical shipyard “Poltava” as well. All the largest Club’s events, such as Extreme Sailing Series, Nord Stream Race, World Match Racing Tour и Sailing Champion League have always relayed much on volunteers’ assistance. August 1 in Dannish city of Aarhus was held a significant event for the Russian sail. 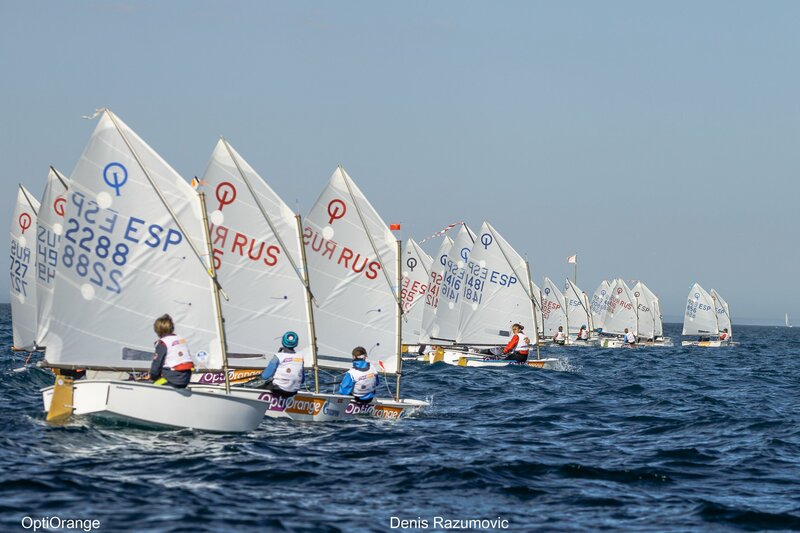 At the annual meeting of the international Association of Windsurfing RS:X Russia, specifically the St. Petersburg Yacht club, received the right to host the world championship 2019 in the Olympic class RS:X.
PJSC Gazprom is a global energy company. Main areas of focus are geological exploration, production, transportation, storage, processing and sales of gas, gas condensate and oil, as well as generation and marketing of heat and electric power. 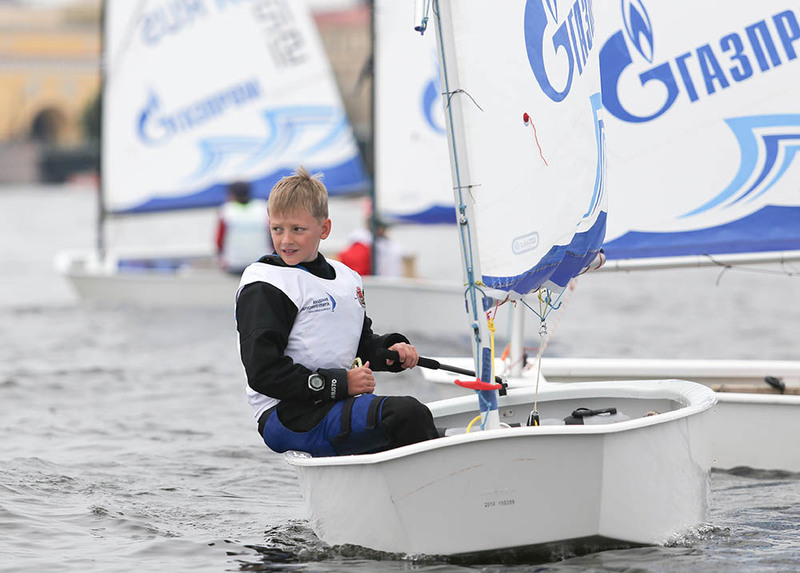 Gazprom company actively supports the development of sport, including sailing. PJSC Gazprom and Saint Petersburg Yacht Club organize a series of children's sailing races "Optimists of the Northern Capital – the Gazprom Cup"; they organize the International offshore race along the route of “Nord Stream” pipeline and implement other sailing projects.